The Scorpions Volleyball Club announces the introduction of their Elite Sand Volleyball Pilot Program. WireService.ca Press Release (04/30/2015) Cambridge, ON - The Scorpions Youth Volleyball Club are pleased to release details of their new 2015 Elite Sand Volleyball Pilot Program. 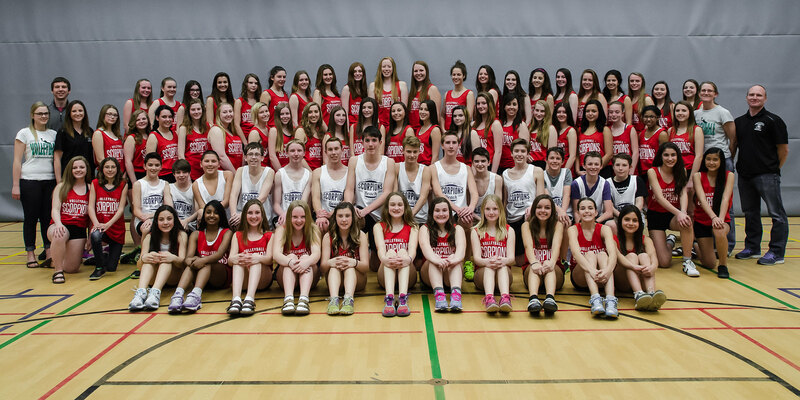 The Scorpions Volleyball Club has one of the largest youth beach volleyball programs in Canada with approximately 500 people registered in it. Their beach program consists of: Learn to Play, House League, Camps and Competitive Beach Duos. This summer they are adding an Elite Sand Volleyball Program. The program is geared towards athletes wishing to obtain the skills to play nationally and internationally. The program will be run by former Canadian National Beach Volleyball Players and now Scorpions Coaches Paul and Tom Podstawka. Highlights of their careers are included at the end of this press release. Paul Langan, Founder of Scorpions Youth Volleyball Club states," The club has grown to the point where we needed to offer this program for athletes wanting to pursue sand volleyball at a higher level.We are excited to add this next level of volleyball to our club." In a perfect world competitive beach volleyball duo Jenna Banz and Kayla Gallant will head off to the same U.S. college or university on scholarships to continue their on-court partnership. The members of the Cambridge-based Scorpions Youth Volleyball Club will have a chance to demonstrate their talent when they compete in a recruiting showcase and tournament for U.S. college and university coaches in Ft. Lauderdale in June. “I’m really excited to see the competition down south,” 15-year-old Banz said. The teens said they’re nervous about the opportunity but feel ready. Those jitters will disappear once they’re on the sand. “We’ve been preparing all winter pretty much,” said 16-year-old Gallant. The duo from Cambridge trains with Scorpions Volleyball indoors over the winter at the Brantford Sports Xcelerator Complex, which has five sand courts. Banz and Gallant were on their game when they took gold without losing a set at an indoor winter tournament in Toronto earlier this year. They had a solid showing on the Ontario under-16 competitive beach tour last year, too. They won gold medals at the Emerald Lake and Grand Bend and silver at the Ontario Volleyball Association provincials. They also represented the region at the Ontario Summer Games last year. It wasn’t their best performance but they say they learned from the experience. “We were playing older teams too, so it was good to see what we need to strive for,” Banz said. They said they must improve their consistency and get physically stronger. “Definitely increasing our vertical (leap) would be good,” Gallant said. The two have been partners since joining the Scorpions program three years ago. They’d like to continue that partnership at a U.S. college or university if they earn scholarships together. “I’ve always said we’re just like one,” said Banz, who attends St. Benedict’s Catholic Secondary School in Cambridge. “I’ll give her a look and she’ll know where to put the ball,” added Gallant, who attends Jacob Hespeler Secondary School in Cambridge. The all-stars were helping lead the Scorpions 2015 indoor spring beach training program at the XCelerator on Sunday morning, where nearly 60 young people age 11 and up participated in fitness, drills and games. The program, aimed for youth interested in competitive beach volleyball, continues Sundays through May 10. “It’s one-of-a-kind training. No other club in Ontario has this pre-season, learn-how-to-play program,” said Paul Langan, Scorpions Volleyball founder. “It’s kind of intimidating to walk onto a beach volleyball court and play other people when you’ve never done it before,” he said. The club has experienced tremendous growth, especially in beach volleyball. In the first year of the Scorpions program in 2012 there were six competitive duos. This year there are 46 competitive duos and over 500 players in total. Scorpions Volleyball provides youth under-18 with an opportunity to learn and play volleyball indoors and on the beach, at the house league level or competitive.